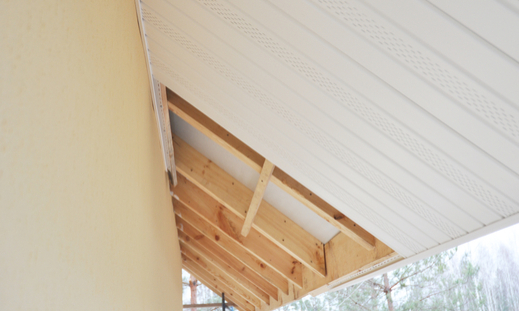 The soffit provides both an aesthetic and functional purpose for your home, connecting your roof to the siding and providing ventilation for your roof area. Soffits are located on the bottom side of the eaves. 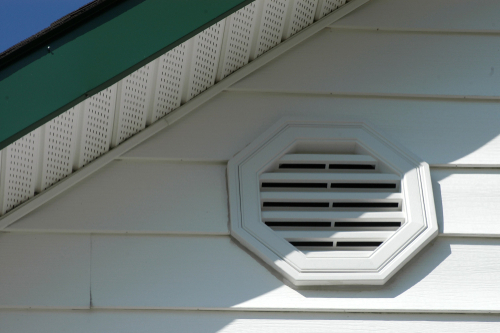 The soffit is usually vented so air can pass freely to regulate the temperature in the attic. 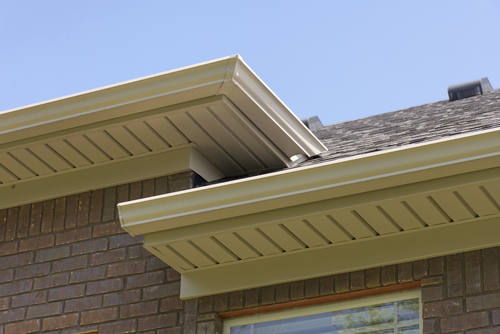 Complete Gutters is able to work with all types of soffit; vinyl or aluminum, big or small. Our staff has experiences with soffits of all types. Whether you’re looking to repair or replace the soffit on your home, or on a townhouse complex, Complete Gutters has the selection and expertise you’re looking for. Smaller details like soffits and fascia are often ignored. Yet these are important elements that protect your home from water damage and exterior rust issues. Fascia and soffit are your home’s saving grace that can save you thousands of dollars in water damage repairs. That’s why it’s important to get soffits repaired or replaced in good order. We’ll inspect your soffit and fascia to see what the job calls for. If a less complicated repair is called for, we won’t recommend paying more for an unnecessary replacement. If the soffit and fascia are damaged or worn beyond repair, we’ll give you a clear estimate and work with you to find the best solution to your home soffit needs. Need Help with Soffit Installation? Soffits are crucial for protecting your home from the harsh weather conditions outside. Without them you would have mould building on your rafters causing some beams needing to be replaced. That is not an easy or cheap job. Soffits also regulate airflow while restricting moisture, protecting and naturally cooling your home by allowing the natural circulation of heat and moisture. Our experts will work to keep your soffits in a condition that protects your home while keeping the aesthetic appeal. If you need new soffits, we’ll carefully select the necessary components that fit best with your home and your environment. Contact Compete Gutters today! Knowing which soffits are right for a particular home or building is one of our many areas of expertise. Common materials for soffits include aluminum and wood. There are also other eco-friendly options made from recycled materials. With several thousand siding, soffit, fascia, and window jobs under our belt, Complete Gutters can offer you some quality options for your structure. Contact us today to find out how we can help. Complete Gutters is your trusted source for soffits and fascia in Vancouver, Burnaby, Surrey and Langley. Complete Gutters Responds Within One Business Day.